The Mississippi Farm to School program was introduced to encourage the serving of locally-grown and locally-produced agricultural products in school meals and to recognize the substantial economic and health benefits of serving locally-grown foods. The program supports local farmers by creating additional marketing opportunities and avenues in which they can sell their product(s). Increasing knowledge of agriculture, food, and nutrition. 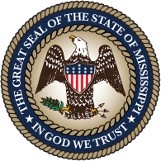 For more than a decade, the Mississippi Department of Agriculture and Commerce (MDAC) and the Mississippi Department of Education (MDE) have worked in conjunction to assist growers wishing to participate in the Department of Defense (DoD) Fresh Fruit and Vegetable Program. This is a statewide purchasing program administered by the two agencies. School districts place orders for produce throughout the year, and MDAC works with the growers to ensure the produce is delivered to the appropriate distributor. The distributor is then responsible for delivering the produce to the schools. Farmers are required to obtain Good Agricultural Practices/Good Handling Practices (GAP/GHP) certification in order to participate in this program. Growers can also work directly with the local school district’s food purchasing director or nutrition director. This is a great way for growers on a smaller scale to get produce into local school systems! Register your farm with Mississippi MarketMaker at marketmaker.msstate.edu; schools and other potential customers will know what you have to offer. Typically, growers are responsible for transporting the produce from the farm to the school or food distributor. Growers should be prepared to discuss produce availability, feasibility, and seasonality with food purchasing directors or nutrition directors. How do I purchase produce for my school? Schools participating in the Department of Defense (DoD) purchasing program can choose to purchase fresh fruits and vegetables from Mississippi farmers. If there is something you do not see on the DoD purchasing guide, but you wish to order, take a look at Mississippi MarketMaker marketmaker.msstate.edu to search for produce from local growers. School purchasing directors or nutrition directors can also work directly with growers to acquire fresh fruits and vegetables. Take a look at Mississippi MarketMaker marketmaker.msstate.edu to search for produce from local growers. Please keep in mind that not all produce is available for the entire school year. Schools and other organizations that wish to procure locally-grown, minimally-processed products should keep in mind that USDA regulations do require schools to use good procurement practices under the National School Lunch and Breakfast Programs. While there are provisions made for geographic preferences, quotes for purchases under $150,000 and formal solicitation for purchases over $150,000 are required. For more information regarding procurement requirements, please feel free to contact the Office of Child Nutrition at 601-576-4980. Organizations may also visit marketmaker.msstate.edu to view a sample procurement template.